Frankfurt's sponsorship program for gay and lesbian athletes from eastern Europe. A Contribution towards Integrational Work within a Complete Europe. "My athletic experiences, particularly in the case of Eastern Europe, have shown that homosexual male and female athletes are still grossly suffering under intolerance and discrimination and are forced to stay in hiding out of fear. I believe that this project is a ray of hope for our visiting athletes as well as inspiration to fight for better acceptance back home." Medal winner at the Olympics, World and European Championships, as well as multiple German Champion, serves as ambassador for Frankfurt's Outreach Eastern Europe. "We still experience homo- and transphobic attacks in Eastern Europe. I have a helping hand or a Helping word. I want to say to those affected by attacks, that I, no that we are supporting them in our work for freedom, as against homophobia. But even those who are affected by the anxiety disorder homophobia, because they discriminate against homosexuals, I wish as a coach that those get their problems under control and treated." Former German footballer who became known through the publication of his biography "Versteckspieler" (hiding Player). 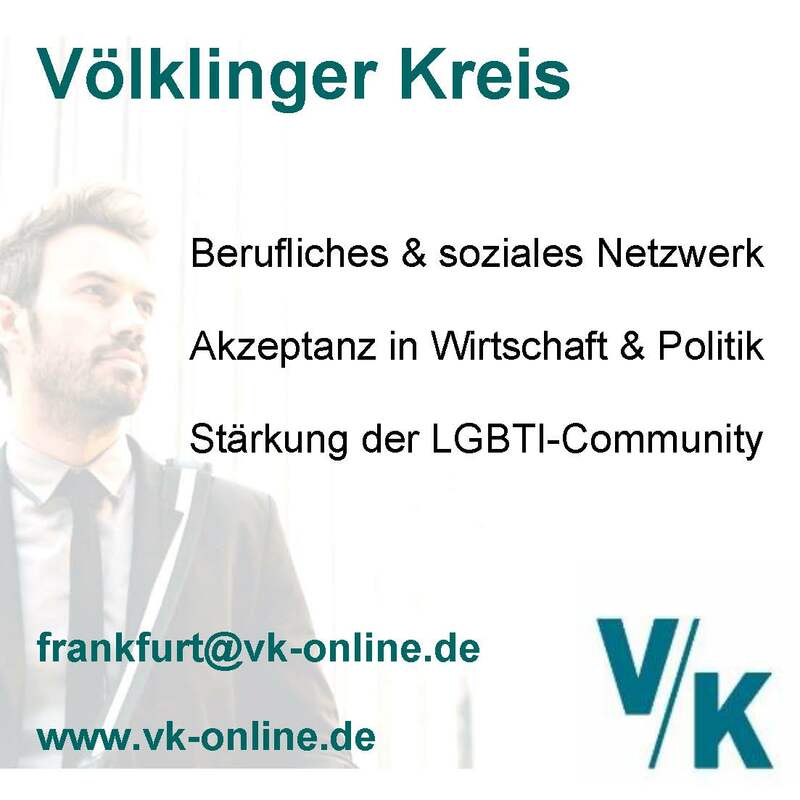 He is in the managing board of the Association for Diversity in Sports and Society and co-founder of the experts-network „Football for diversity", earlier "Football against Homophobia“, a project of the Bundesstiftung Magnus Hirschfeld. outreach us help2Outreach Eastern Europe supports gay and lesbian athletes from eastern Europe. This program enables and assists them to participate in our annual XMAS Tournament, thus making it open and accessible to all Europeans. Outreach Eastern Europe is a true example of European solidarity and facilitates an open and fun gathering of athletes, free of borders. Please help us! Even a little helps a lot. Sponsorship assistance is available to individual athletes, sports programs and sports organizations and clubs, that would otherwise not be able to travel to and participate in our tournament. outreach us join2A division of Europe into East and West is still a reality for many gay men and lesbians. Discrimination both in everyday life and within one's own family can unfortunately still be found in the lives of our neighbors to the east. From our own history, we know very well how important and necessary it is to get together in times of ostracism and discrimination. These get-togethers generate, provide and radiate immense strength and solidarity. The XMAS Tournament, with its multiple sports offering, provides an ideal venue for contact, exchange and personal emancipation. The encounters which our guests experience in Frankfurt represent a certain quality of life as a part of the community. Many, and some for the first time, perceive their value here as a homosexual and gather strength to fight for equal rights back home, as well as building their own gay and lesbian spor ts environments. You'll find our Supporting Guideline HERE. In the name of all sponsored athletes and both tournament organizers, FVV and Artemis, we wish to extend our heartfelt thanks to all of our sponsors, partners and volunteers. Only with their commitment and support, we can successfully operate Outreach Eastern Europe. We also thank all tournament participants who chose to make a donation via their online registrations. Each donation is also a piece of appreciation for our gay and lesbian sports pioneers in Eastern Europe. You can find the project reports HERE!